What Are The Waivers Of Ineligibility? Immigration law is complicated and is only getting more so every year. The Waivers Of Ineligibility is another way that immigration law is becoming more intricate. Waivers of Ineligibility or the I601A Provisional Waiver is when you need to apply for a present waiver that is unlawful and provisional. To eliminate the need to return to your home country, but you require going through visa interviews, then you need to apply for this waiver. 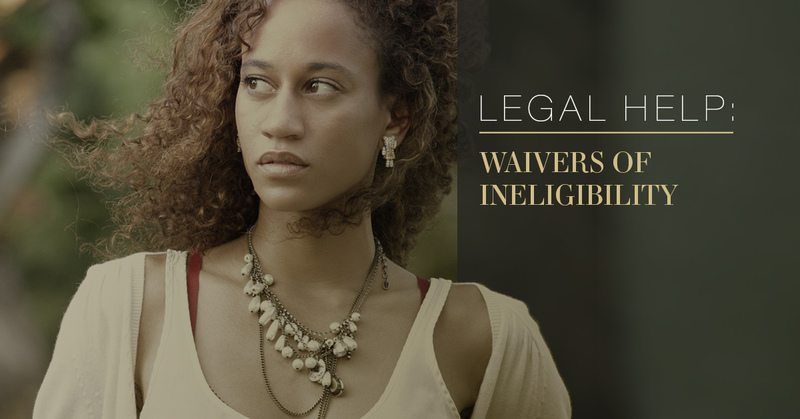 The main purpose of the Waiver Of Ineligibility is to cut down on the number of time relatives are away from one another when one is a citizen of the United States and the other is not. The Waiver is meant to help those who face hardships while being separated, so they are able to be in the United States until the visa interview is conducted. For further information for legal help, read Waivers Of Ineligibility. A member of the American Immigration Lawyers Association (www.AILA.com), Gadi Zohar focuses on immigration law. With a wide clientele, he’s driven to legally help you obtain the outcome that is successful and that you desire. When you come to our law office, our immigration attorney will carefully go over the process and objectives of your case and make sure to guide you through the journey. Our immigration attorneys are sensitive to each case we receive as well as able to offer you the support you need. Getting legal help can be draining, but when you decide to come to a law office that bases their foundation on honesty, integrity, and genuinely caring about each of our clients, then you’ll feel much more satisfied with the outcome of your particular case and comfortable with our immigration attorneys. We treat each client who comes to us individually, which means we’ll hear what you need to say as well as work with you to figure out what’s best for your case. For an immigration attorney who cares and will offer you the legal help you need, contact our law office by filling out the information below.